WELCOME! What if noble and natural materials were part of your daily life? 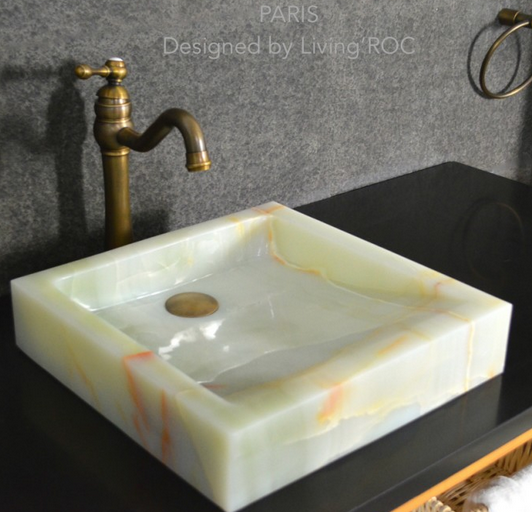 Welcome to the blog Living'ROC, you will find useful information to better understand "the" natural stones, their composition, finishing and maintenance. A small expression that fits your decor desires and will accompany you to make the most of the opportunities offered by our site livingroc.net. You will also discover our new products and latest designs for home and garden. Enjoy your visit! Welcome to our AQUADEOS kitchen area one of our favorite at Living'ROC. AQUADEOS range is made of authentic and genuine granite. You will find in the kitchen universe a very wide range of single or double kitchen sinks with or without draining side. 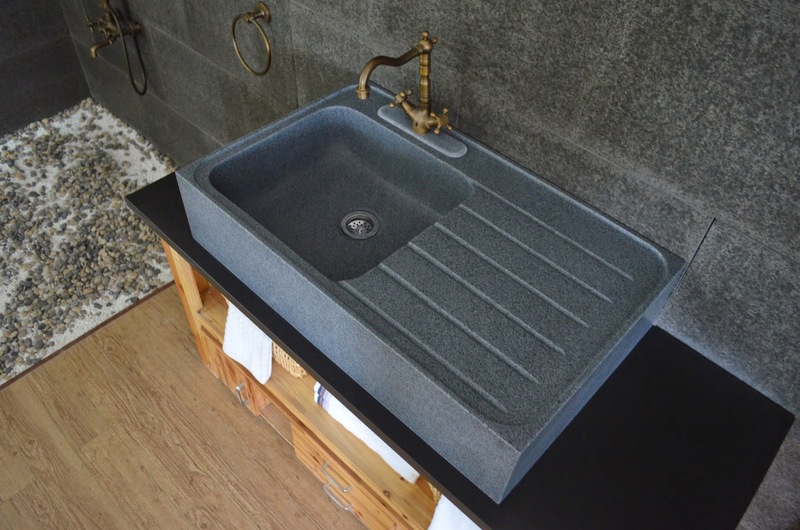 So why not chose a Granite stone kitchen sink. Our ranges are specially designed to add great value to your home and it will make a difference. According to our projects and fitting constraints you will be able to choose sinks which can be fitted or just installed on a custom-made piece of furniture. All our creations are the subject of a strict installation control destined to give you serenity and satisfaction. 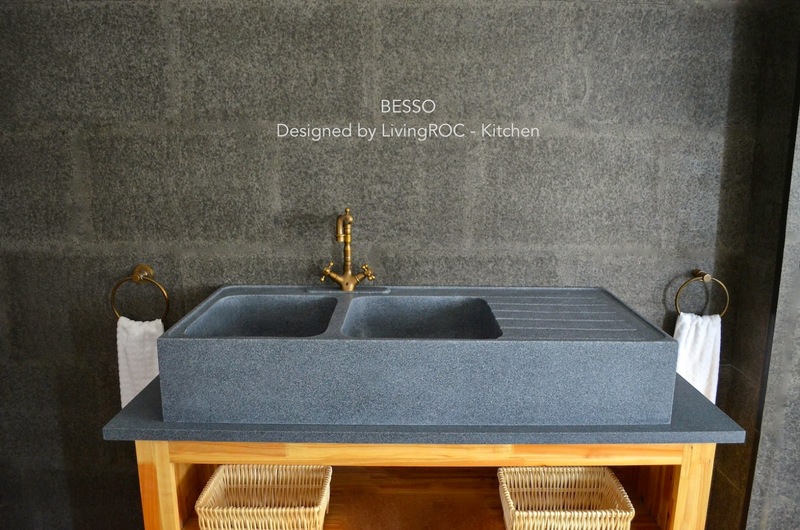 BESSO is equipped with two deep large bowls (Drain hole template provided for easy installation) the drain hole size is 3.54" - 90mm each and the grooved dish drying rack which has been incorporated harmoniously with BESSO. 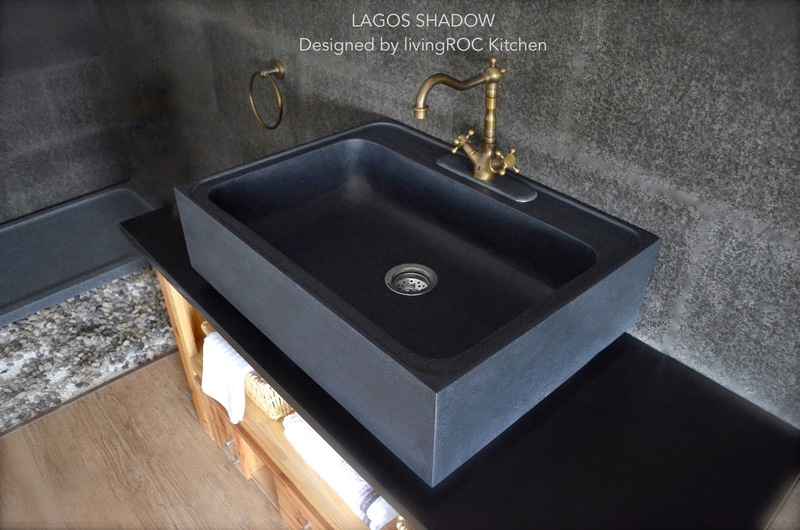 Imagine one day you beautify your kitchen with this very rare and sought after pure natural Shanxi black granite kitchen sink LAGOS SHADOW 30" x 22" x 8". With its large single tank, and ergonomic design, slightly inclined as to not hold water. The sink has been designed to last a very long time, giving you a great level of resistance and easy maintenance. Available in Gray Granite also. NORWAY is equipped with large tank the drain hole size is 3.54" - 90mm and the grooved dish drying rack which has been incorporated harmoniously with NORWAY. Our granite is perfectly adapted for kitchen use, it is highly resistant to chipping and scratching and can withstand hot temperatures and tolerant a very high temperature changes. The Durability and beauty of natural stone is nothing to be compared too, Take a look at what natural stone can do for you. At LivingRoc.net we have Black and Gray Granite kitchen sinks. Copyright 2014 Livingroc.net. Watermark theme. Powered by Blogger.